Steve is an award winning audiologist, with many years of experience in adult audiology rehabilitation. Born in Fife, Steve started his career in healthcare as a nurse, and continued into other areas of the profession, working both in the NHS and the UK private sector. 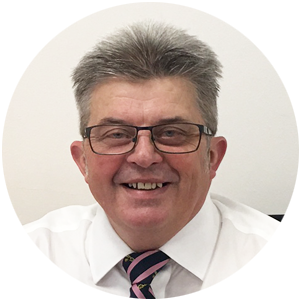 Steve qualified as an audiologist in 1992 and completed a Clinical Competence in Micro-Suction Ear Wax Removal Course in 2014. Steve has a specific interest in ear canal maintenance and wax removal. He specialises in a video otoscope procedure, which is used before and after wax removal, to ensure continued ear health. In 2012, Steve was awarded Rayovac’s UK Audiologist of the Year and went on to win the European title in the same year. Steve is registered with the Health and Care Professions Council. Maggie has been teaching yoga for 15 years and holds a Dru yoga diploma as well as a 500hr Yoga Teaching Diploma with the Anahata School of Yoga. Maggie is also a tutor with the Anahata School where she teaches anatomy, physiology and therapeutics, as well as the Anahata School’s Yoga for Pregnancy Teacher Training Module. Maggie’s specialist area of interest is pregnancy and birth. She is passionate about helping women to rediscover their inner power, intuition, and to trust in their own body wisdom, bringing confidence in the female body’s ability to give birth. This passion has been fuelled by 40 years experience of working with women in pregnancy and mothers and babies; as a midwife, health visitor and latterly as a teacher of yoga. Maggie is also a trained HypnoBirthing Practitioner and Birth Doula. 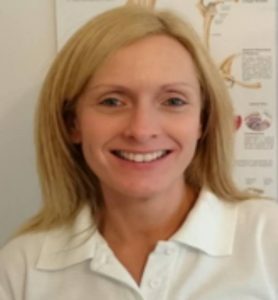 Amanda’ is a qualified Podiatrist , who studied at The Queen Margaret University gaining her Bsc (Hons) degree in Podiatric Medicine, after attending Carnegie College in Dunfermline.